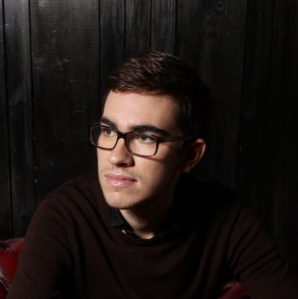 Joe d’Elia is the main developer. 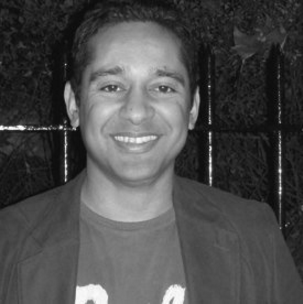 Pardeep Kullar is taking care of marketing and business development. The former is Italian, the latter is British. Both work from London. A perfectly composed duet. I had a pleasure to interview Pardeep. He told me a bit about Anymail finder – the tool they are developing together with Joe. Below, you’ll read what Pardeep told me about Anymail finder, and a short description of our experience with the tool. How would you describe Anymail finder in 4-5 sentences? Pardeep: We find and verify email addresses. You enter in a name and a domain and we go find it and make sure it’s real. We can find them across the web. We also provide scraped and pattern guessed emails but we only count the verified ones. What is the greatest benefit of using Anymail finder? P: It’s a superpower. I didn’t really understand what we had built until other people told me how they go about prospecting and it sounded like such a mess. Right now users are finding they have the ability to get in touch with 1000s of potential customers directly using tools such as our Chrome extension. I guess the focus is on refining the email rather than grinding through prospecting. How does the process of building database look with Anymail finder? Figure out the right job title. Make a list of names and domains and save it as a .csv file. Upload the list to Anymail finder to find the emails. Export the results to an email follow-up tool (if you use Woodpecker, you can export your contact list directly with one click). Click Send and let the email tool do the work. Do I need any additional tools/add-ons to use Anymail finder efficiently? P: No additional tools are necessary. What you need is a targetted list of prospects’ names and domains. That’s it. What kind of information can I actually collect using Anymail finder? P: On the basis of the name and domain, you can collect a verified email address. P: That depends on the plan you’re on. The plans start from 200 credits/mo fo $18, but you can go as far as 10K+ credits if you choose the Enterprise plan. The important thing is the credits are used only for verified emails. You can contact us for more details. The most commonly purchased plan is approximately $49/month for 1,000 credits per month. There are also custom plans, so get in touch with the team. Click here to see the full pricing of Anymail finder. You get 20 verified emails for free and as many scraped/pattern guessed emails as it returns. Anymail finder is real quick. A couple minutes tops – that’s how long you need to wait to know if the address has been found and verified, guessed based on a pattern, or not found at all. You don’t need to wait for hours in suspense. That makes your workflow really fluent and time efficient. You can upload a .csv file with names and domains, and Anymail finder will look for the email addresses for you. That’s a convenient option if you’re collecting your contacts from places other than LinkedIn. Say you’ve added John to your contacts. While in the full app panel, you just need one click to get other people’s emails from John’s company. 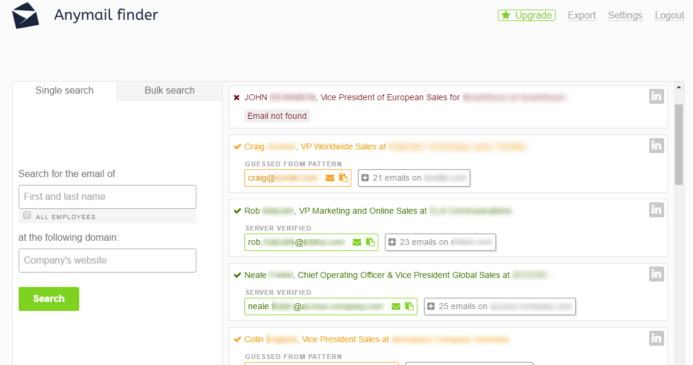 That’s a great feature if you prospect within ABSD framework (Account Based Sales Development). It would be great to decide, which contacts we want to be downloaded to the csv. For example, I’d like to export only the contacts with verified email addresses. For now, Anymail finder downloads all the data of all prospects (even if their emails are guessed or weren’t found at all). Yes, in the .csv file you can see which is which, but you need to group them manually and remove those you don’t want in the .csv. In the app panel, the contacts appear chronologically. It would be convenient to sort them according to names, or statuses (emails found, guessed, not found). I’m not sure what is Anymail finder’s current rate of verified addresses or guesses addresses to the number of searches. But from my experience, the guessed or not found addresses happen quite often. I can only imagine that is this is a really difficult part to improve. I’m crossing my fingers for the guys and I believe this is something they work very hard on. The good thing is, though, the users are not charged for the searches, but only for the verified email addresses. So even if sometimes an address is only guessed or not found, you don’t really lose anything. Anymail finder is especially useful if you’re collecting list of prospects in a spreadsheet and want to find their emails automatically. You can bulk import names and domains to the app panel to get your emails found by the tool. It has a Chrome extension that allows you to add prospects to your list directly when looking for prospects on their websites. It’s very quick in finding the email addresses, and it shows you which addresses are verified, which are guessed and which haven’t been found at all. The price per contact is reasonable, especially when you consider the fact that you get charged only for the actually found and verified email addresses. There is a free trial. You can test the app and collect 20 verified email addresses for free. This is a young, yet dynamically developing, product created by two great guys from London, who reply to your emails in a matter of minutes! Seriously. That’s a great forecaster of splendid support. You can also contact them directly from the app. 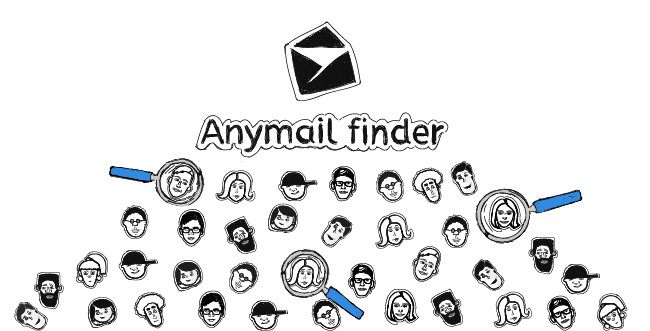 NEW: Anymail finder integrates natively with Woodpecker now. Check integration options in Anymail finder’s Settings. Hope that post was helpful and added another tool to your “Definitely test this” list. Next postAccount Based Sales Development 101: What Is It? How Does It Work? Cathy, thanks for sharing this informative post. I would recommend another prospecting list building tool such as (eMail Prospector) , it finds prospects, build list and append email addresses from professional networks where you can find lots of potential prospects. Does eMail-Prospector also builds list of prospects? how it differs from anymail finder. eMail Prospector is a b2b sales prospecting tool, finding email addresses of prospects like other tools such as anymail finder etc. But eMail-Prospector helps you to build targeted prospect list with verified business contact information such as email address and phone#. All you need to do is narrow down your prospect list from LinkedIn Sales Navigator into eMail Prospector. It starts appending their business email addresses by deeply searching the internet.